Qatar, which has been blamed for stirring up much of the violence in the Middle East and is a well-known backer of the Muslim Brotherhood and Hamas, reportedly expelled some members of the Muslim Brotherhood from its territory. The Associated Press (AP) reported on Saturday that leaders of Egypt’s Muslim Brotherhood and allied clerics said they are departing Qatar, where they had sought refuge following the ouster of Egypt’s Islamist President Mohammed Morsi and the crackdown on his supporters. Their presence in Qatar had severely strained Doha’s relations with Egypt as well as Saudi Arabia and the United Arab Emirates, all of which view the more than 85-year-old Islamist movement as a threat. 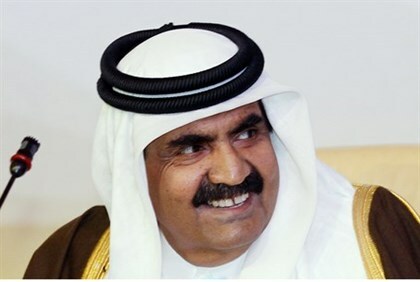 The governments of Saudi Arabia, Bahrain, and the United Arab Emirates withdrew their ambassadors from Qatar in June, in protest over Qatar’s support for the Muslim Brotherhood. The expulsion of the Brotherhood’s senior officials threatens to further isolate the group, which rose to power in Egypt through a string of post-Arab Spring elections but suffered a dramatic fall from grace during Morsi’s divisive year in office. Former minister Amr Darrag, who was also the top foreign affairs official in the Brotherhood’s Freedom and Justice Party, and cleric Wagdi Ghoneim said they are leaving Qatar following a request to do so by the Gulf monarchy, according to AP. “I decided to move outside of the beloved Qatar … so as not to cause any annoyance, embarrassment or problems for our brothers in Qatar,” Ghoneim said in a video message posted on his official Facebook page. The highest ranking member of the group residing in Qatar is Mahmoud Hussein, the secretary general of the Muslim Brotherhood. According to Rassd, a news agency affiliated with the group, Hussein is among those who will be leaving the country. The agency said they will be searching for another base in exile, possibly Turkey. There have been several high-profile calls to stop Qatar from hosting the World Cup in 2022 until it ceases its funding of terrorism, including by Israeli Economy Minister Naftali Bennett. Last week, Egypt charged Morsi and several other people with endangering national security by leaking state secrets and sensitive documents to Qatar. The Cairo public prosecutor’s office said its secret investigation had unearthed enough evidence of espionage to charge Morsi in a criminal court.